Lock 50 is an award-winning Worcester restaurant featuring a seasonal Contemporary American menu sourced from the freshest local ingredients whenever possible. At lunch, we offer unique crepes, soups, stews, a variety of sandwiches, and salads, as well as a full bar. Lunchtime at Lock 50 is a great place for entertaining business colleagues or catching up with old friends over a glass of wine. In the evening, Lock 50 will engage your senses and completely satisfy your appetite. Relax and enjoy the company of friends, family or colleagues with a menu of small plates, shareable dishes, satisfying entrees, and nightly specials. 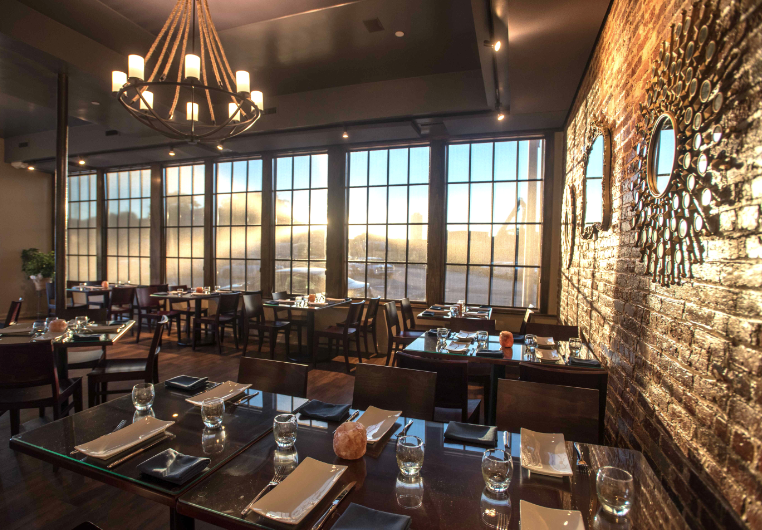 Lock 50 is also perfect for an intimate dinner with loved ones and the perfect place to celebrate that special occasion. The Contemporary American menu at Lock 50 is inspired by Chef Tim Russo’s personal dining and work related experiences. The menu is adventurous and innovative and reflects Tim’s desire to treat his guests to something special by incorporating interesting ingredients and unique techniques to many of the dishes. Lock 50 also offers a unique Chef’s Tasting Menu. This meal consists of a variety of specially created dishes, chosen by the Chef and prepared especially for you. Choose from a 5-course or 7-course option, and the meal can be enjoyed with wines specially chosen by our experienced Sommelier to complement the food. Our wine list has been crafted to be versatile enough to work with an ever changing menu, while at the same time, helping our guests to be a bit adventurous when choosing a wine to enjoy with their meal. Local craft beers and inventive craft cocktails complete your dining experience no matter when you dine at Lock 50. 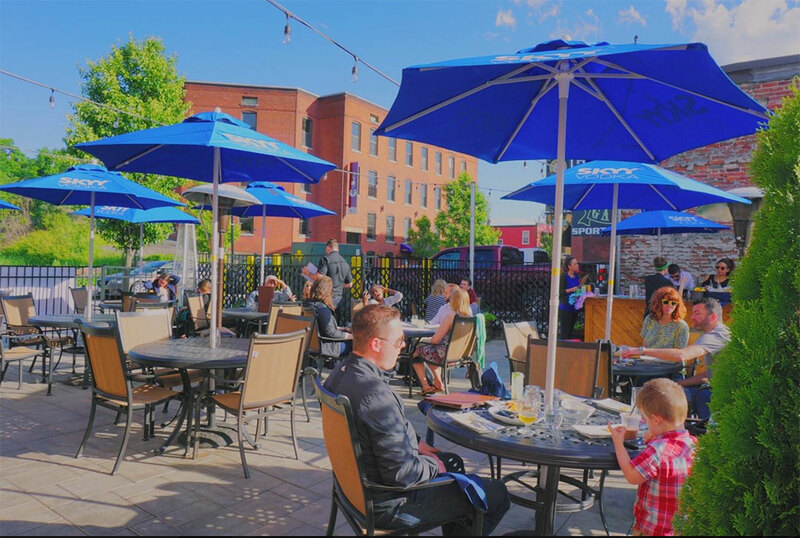 The weekend at Lock 50 brings Worcester’s best brunch, including a seasonally-changing menu of fruit, crepes, french toast, sandwiches, burgers, meat boards and of course, Mimosas, Bloody Marys and signature cocktails to start the weekend off right! The decor throughout the restaurant is warm and engaging. The dark wood, creative lighting, exposed brick and wall textures all add to the atmosphere. Wall murals and a rotating display of contemporary art is hung throughout the restaurant for our customers to enjoy. Weather permitting the patio at Lock 50 is a great place to enjoy any meal, or share small plates with friends over cocktails and wine. The coffee at Lock 50 is special as well, combining a highly trained staff with some of the finest, fair trade organic coffees by our friends at Equal Exchange Coffee Roasters. We employ cutting-edge brewing and extraction techniques (such as the Nitro Brew Coffee for our cold brew options) as well as having perfected the oldest tried and true methods to give our guests the best coffee choices available. We feature a four-group La Marzzocco Linea Espresso Machine – the only one of it’s kind in Massachusetts – to craft everything from a perfect Ristretto Cortado to a simple Vanilla Latte (using our own house made natural vanilla syrup, of course) to the best Americano you can make!